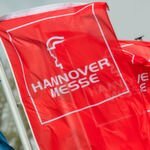 ODVA in Ann Arbor, Michigan, USA, today announced that Endress+Hauser, one of the world's leading suppliers of measurement, automation equipment and solutions for the process industries, will become a principal member, joining leading suppliers Bosch Rexroth, Cisco Systems, Rockwell Automation, Omron and Schneider Electric. Endress+Hauser's increased participation in ODVA builds on its long-term support of open industrial networking technologies, including the company's portfolio of mass flowmeters designed for the EtherNet/IP network. Hauser in this consortium as we have a shared vision for leveraging EtherNet/IP to simplify an end user's network architecture." With leading industrial automation suppliers, such as Endress+Hauser, as principal members, ODVA is one of the first associations which strive to support Industrial Ethernet down to the field level in process automation. This will help provide manufacturers a complete, plant-wide network infrastructure for process, motion, safety and discrete applications and from plant-floor to IT systems. Traditionally, devices measuring and controlling process variables rely on a field network to transfer information, while other devices within the plant use completely different networks for data communication. By improving this complex multi-tier networking strategy with one standard network architecture, namely EtherNet/IP, users have a simplified network structure as well as better access to plant-floor information. This enhances the ability to monitor overall performance, troubleshoot out-of-margin conditions and minimize downtime. 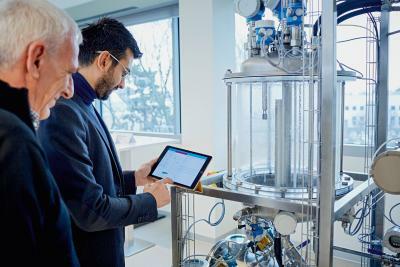 "Our customers demand open, interoperable solutions such as EtherNet/IP, as it enables higher-level software such as ERP systems, process historians, control loop tuning programs, and asset management systems to access data from process instrumentation," said Raimund Sommer, managing director of Endress+Hauser Process Solutions AG. "We look forward to continue working through ODVA to help users achieve seamless integration of our instru-ments into system architectures." Endress+Hauser made its first major commitment to ODVA technologies in 2009 when the company launched the Promass 83 - the world's first Coriolis mass flowmeter with Ether-Net/IP connectivity - capable of measuring mass flow, density and temperature, featuring an integrated Web Server that allows authorized users to remotely conduct diagnostics, configure the instrument or perform process optimization. The company also recently launched its Promag 53 electromagnetic flowmeter with EtherNet/IP connectivity. By using EtherNet/IP, up to 10 measured variables can be configured and transmitted including volume flow, calcu-lated mass flow and totalized flow. ODVA will introduce Endress+Hauser as a principal member at its 2012 Industry Conference and 15th Annual meeting, to be held 16-18 October 2012 in Stone Mountain, Georgia, USA. For more information about the ODVA event, visit www.odva.org. Founded in 1995, ODVA is a global association whose members are comprised of the world's leading automa-tion companies. 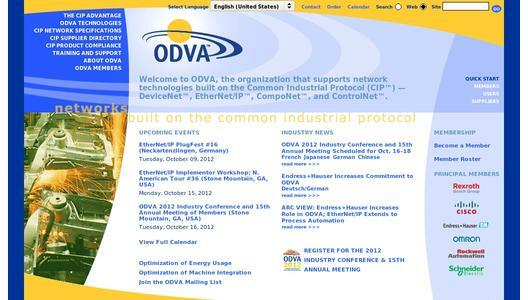 ODVA's mission is to advance open, interoperable information and communication technologies in industrial automation. ODVA recognizes its media independent network protocol, the Common Industrial Protocol or "CIP" - and the network adaptations of CIP - EtherNet/IP, DeviceNet, CompoNet and ControlNet - as its core technology and the primary common interest of its membership. For future interoperability of production systems and the integration of the production systems with other sys-tems, ODVA embraces the adoption of commercial-off-the-shelf (COTS) and standard, unmodified Internet and Ethernet technologies as a guiding principle wherever possible. This principal is exemplified by EtherNet/IP - the world's number one industrial Ethernet network. Endress+Hauser is a global leader in measurement instrumentation, services and solutions for industrial process engineering. 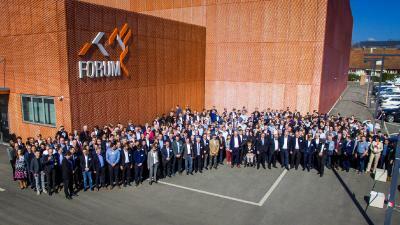 In 2010, the Group generated with over 9000 employees worldwide net sales of around 1.3 billion euros. Hauser supports its customers to optimize their process engineering procedures while taking into consideration reliability, safety, economic efficiency and environmental protection. Founded in 1953 by Georg H Endress (1924 - 2008) and Ludwig Hauser (1895 - 1975), Endress+Hauser has been solely owned by the Endress family since 1975. The company group, headed by Klaus Endress since 1995, has developed from being a specialist in level measurement to a provider of complete solutions for industrial measuring technology and automation, with constant expansion into new territories and markets.